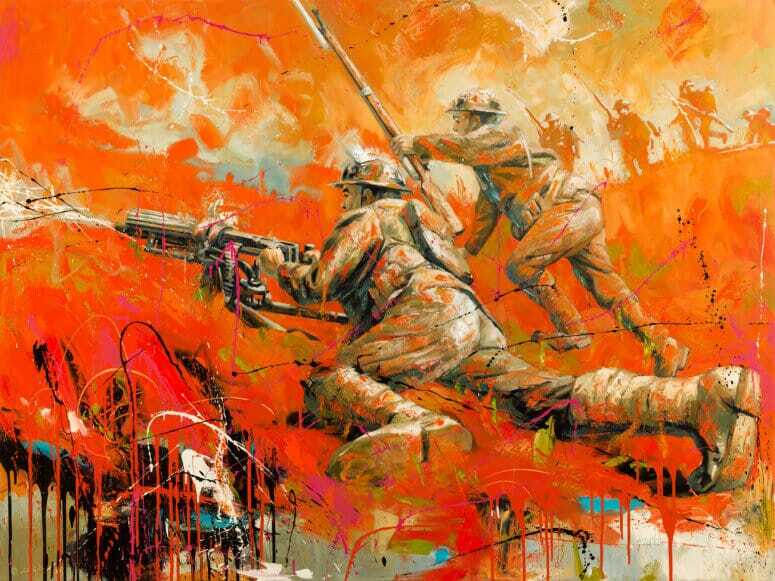 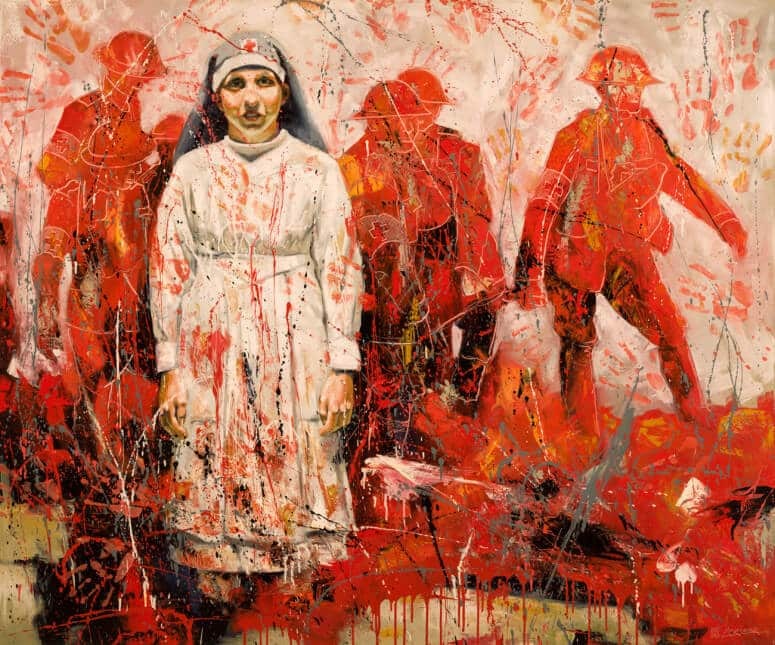 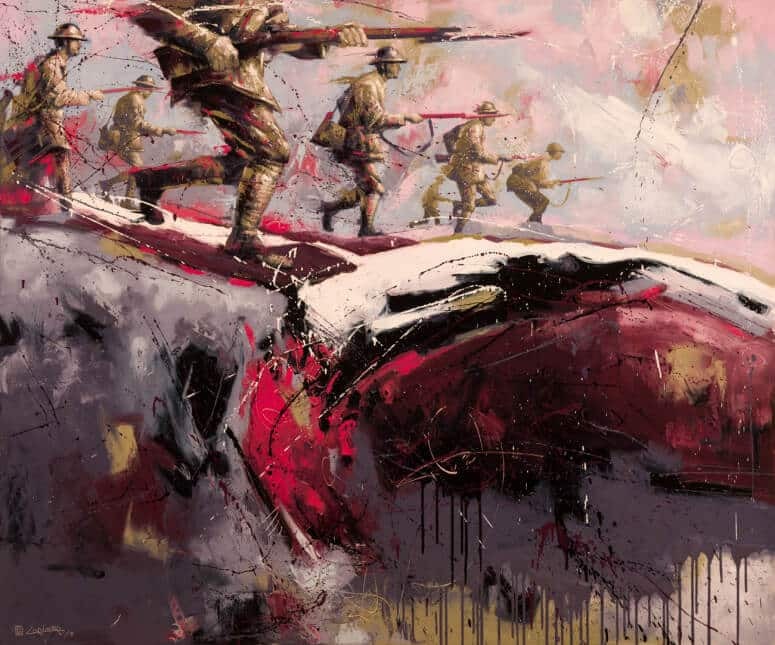 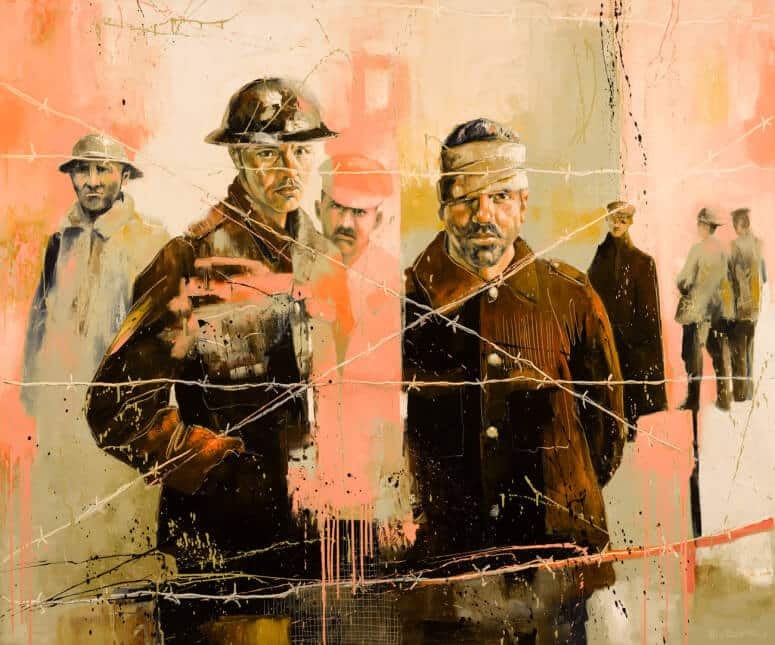 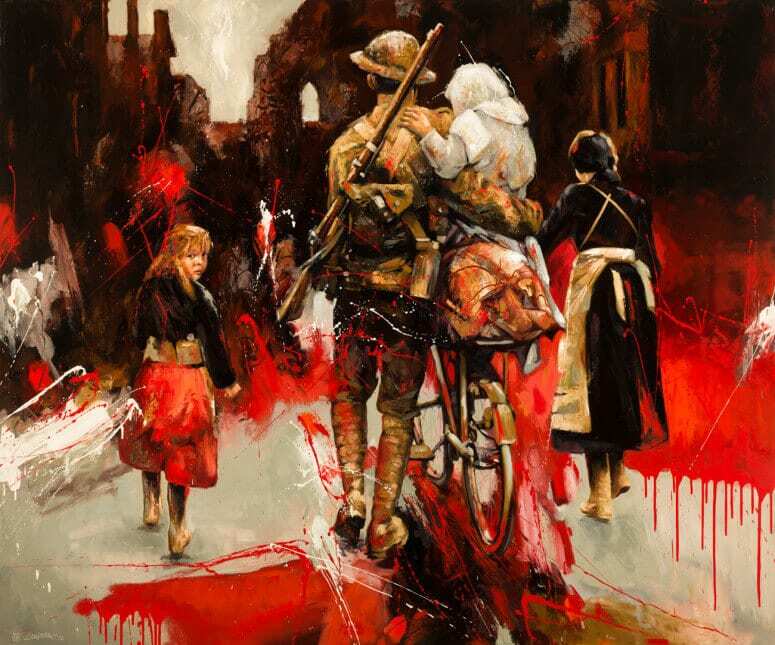 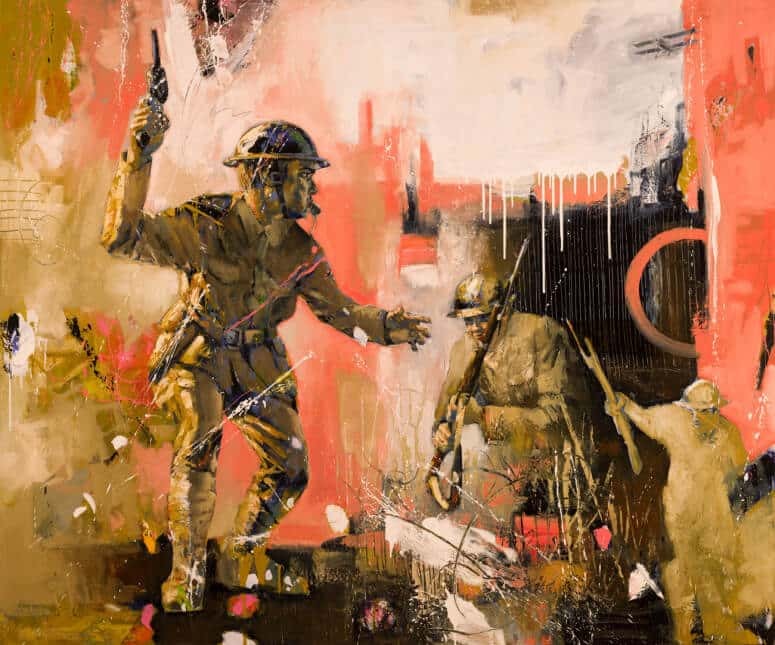 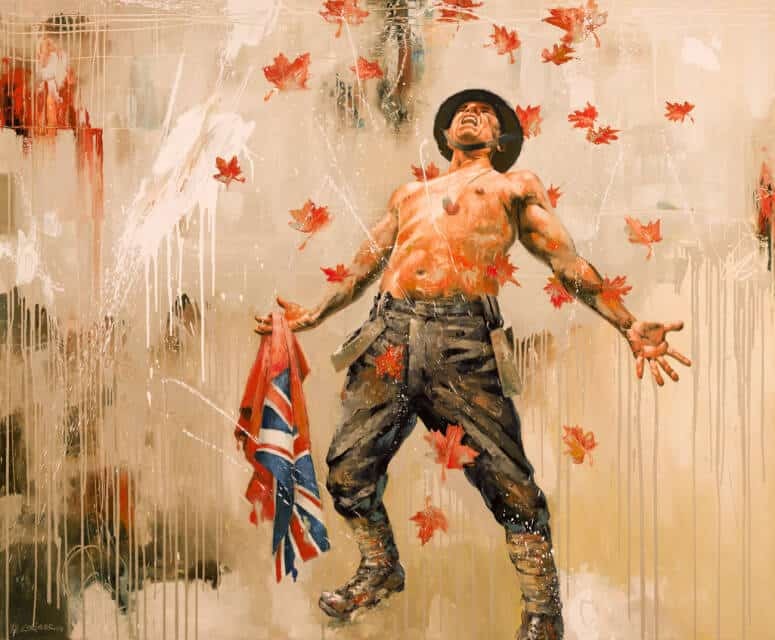 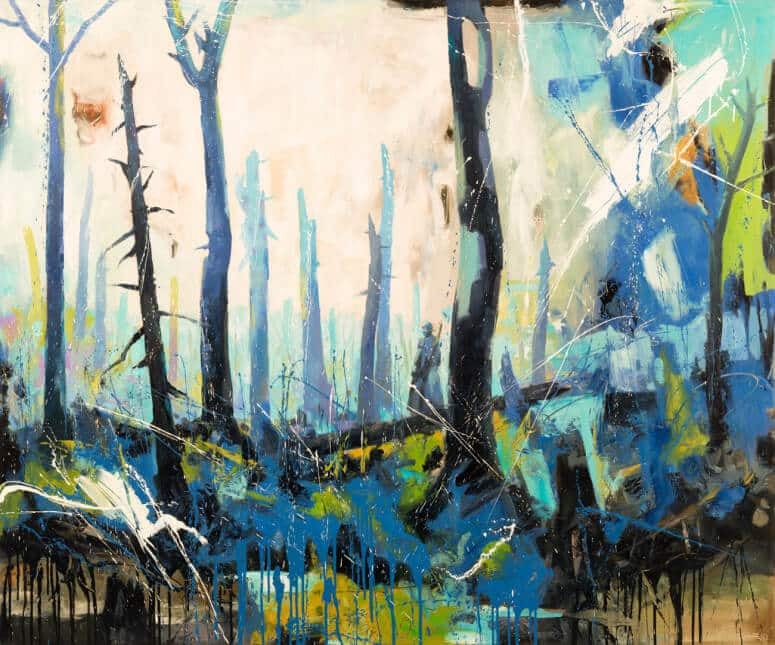 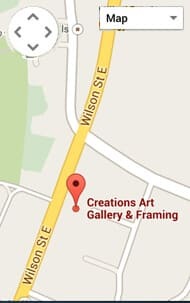 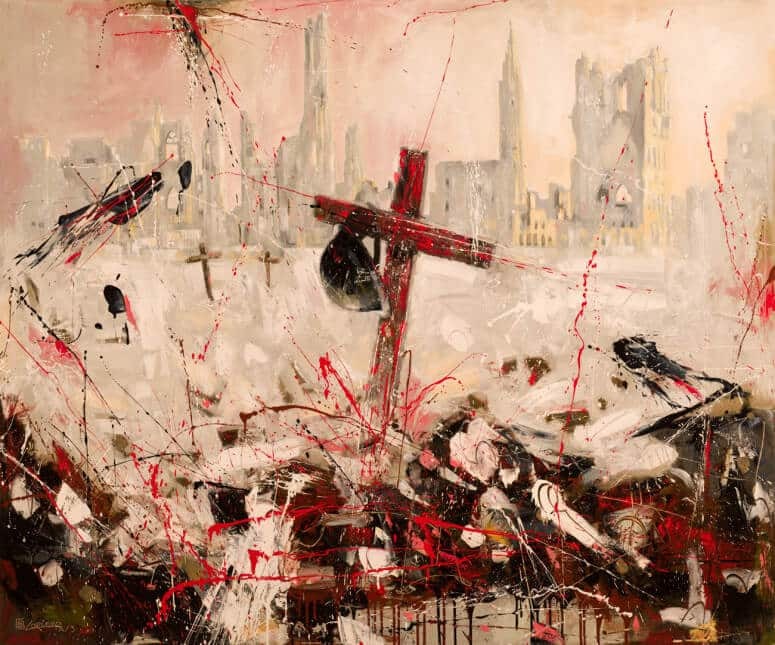 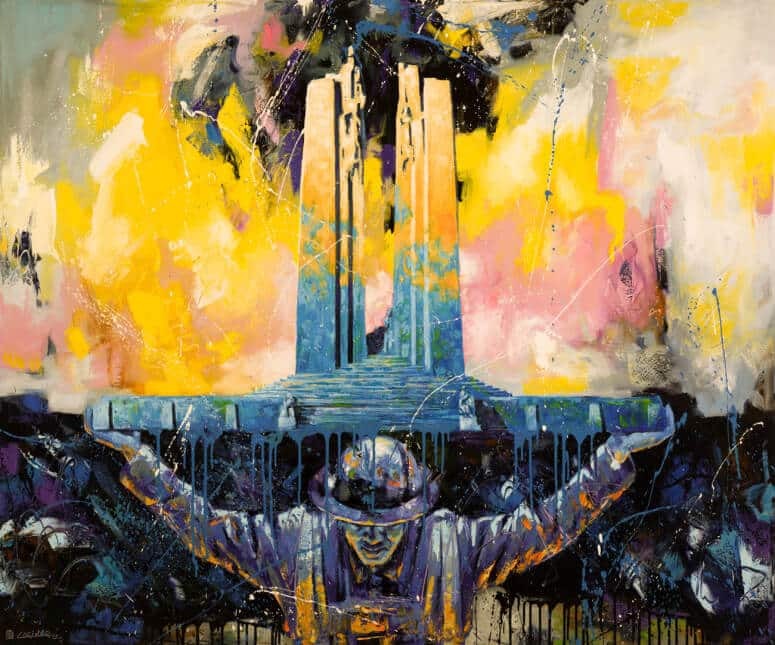 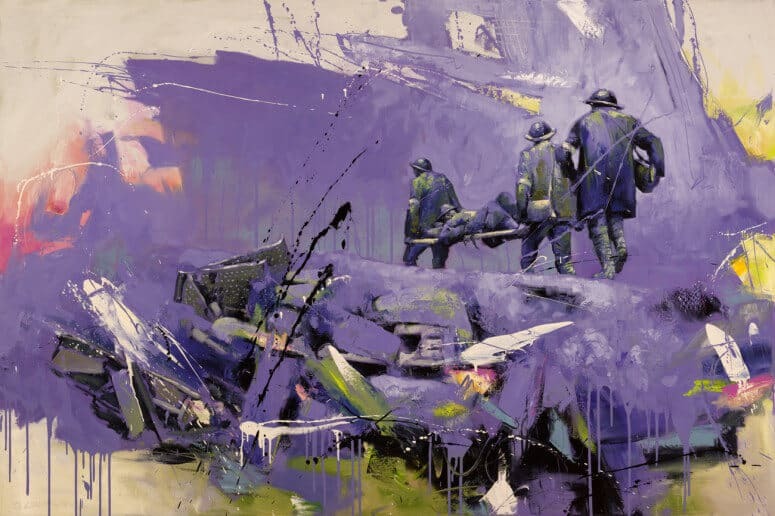 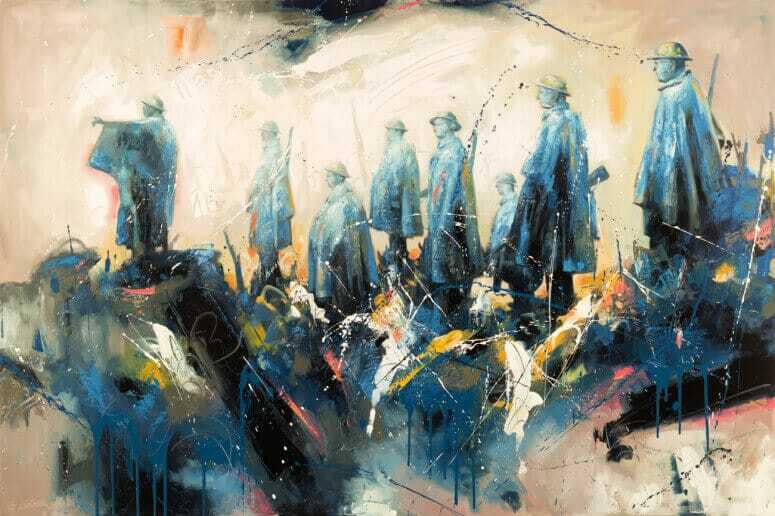 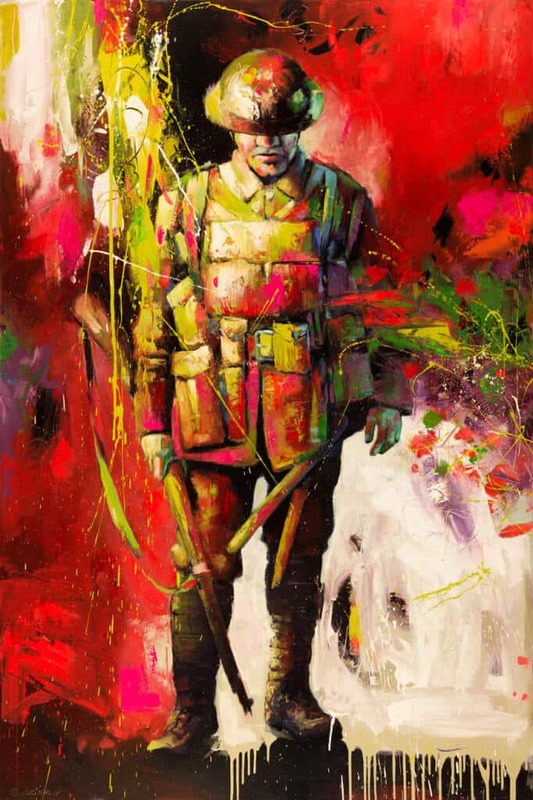 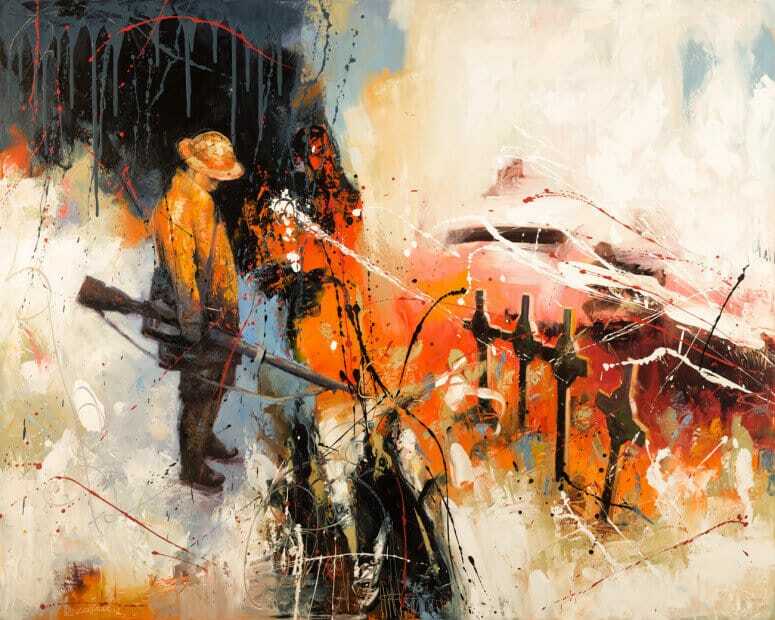 THIS DRAMATIC SERIES of work grew into 36 large paintings commemorating the 100th Anniversary of the First World War. 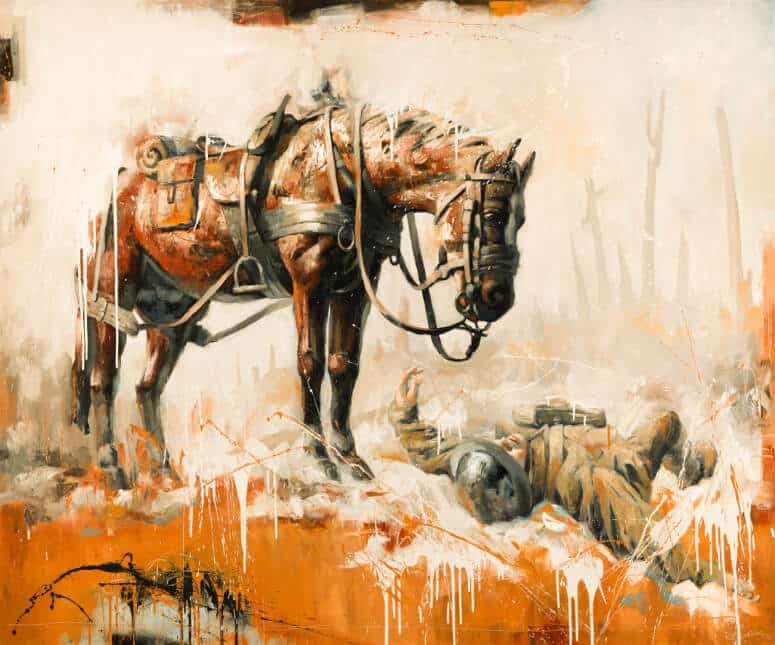 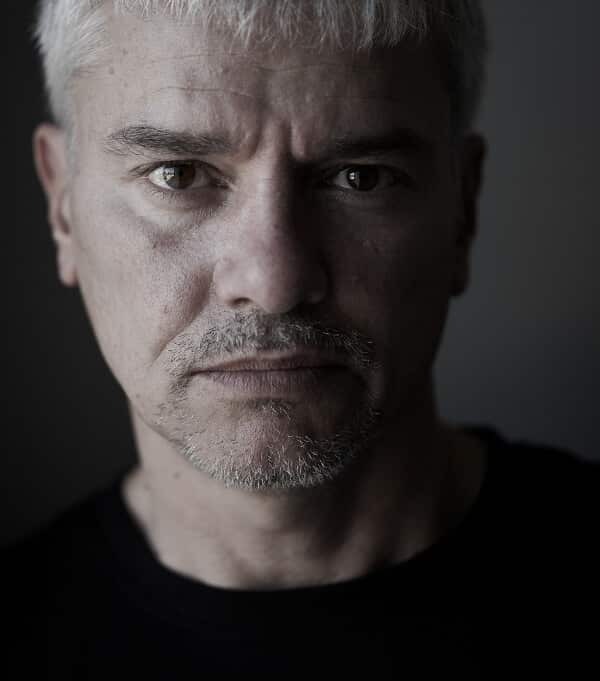 It was produced following a trip to Belgium and France where walks through trenches and graveyards with thousands of white headstones brought Lorimer to emotional exhaustion. 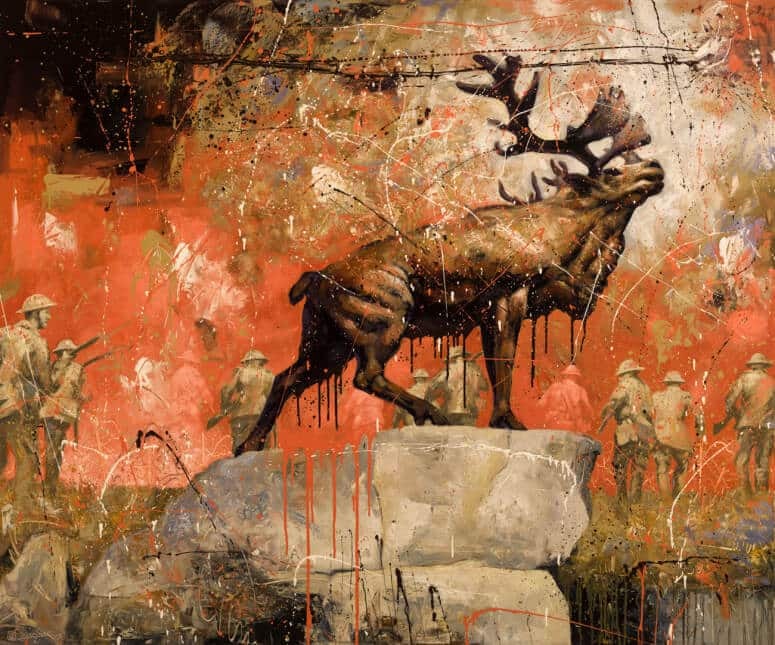 Walking in the steps of the soldiers that helped shape Canada into what it is today was overwhelming, spiritual, and beautiful all at the same time.